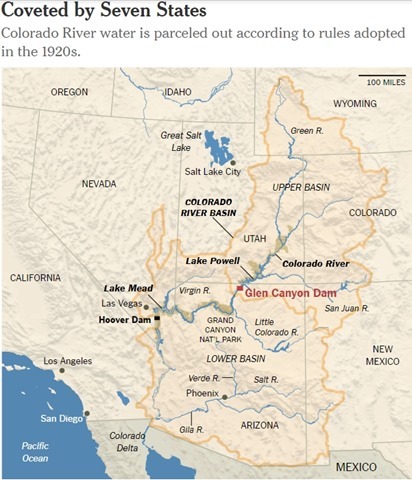 NYT article “Unplugging the Colorado River” by Abrahm Lustgarten published right before World Fish Migration Day gives detailed description of water management options in drying Colorado River Basin. Proposal to drain giant reservoir behind Glenn Canyon Dam is given serious attention as a measure to prevent unnecessary water losses. Many other smaller reservoirs in the western US have been already decommissioned and their dams removed to assist fish migration and as climate adaptation measure. RwB believes that this timely discussion demonstrates lack of reason behind proposals for new “climate adaptation” use of reservoirs in other dry countries: Mongolia, Kazakhstan, Turkmenistan, Ethiopia, etc. WEDGED between Arizona and Utah, less than 20 miles upriver from the Grand Canyon, a soaring concrete wall nearly the height of two football fields blocks the flow of the Colorado River. 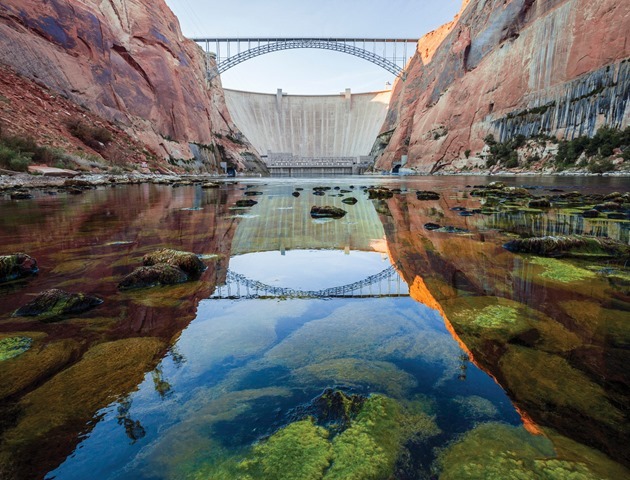 There, at Glen Canyon Dam, the river is turned back on itself, drowning more than 200 miles of plasma-red gorges and replacing the Colorado’s free-spirited rapids with an immense lake of flat, still water called Lake Powell, the nation’s second-largest reserve. When Glen Canyon Dam was built in the middle of the last century, giant dam projects promised to elevate the American West above its greatest handicap — a perennial shortage of water. These monolithic wonders of engineering would bring wild rivers to heel, produce cheap, clean power and stockpile water necessary to grow a thriving economy in the desert. And because they were often remotely located, they were rarely questioned. But today, there are signs that the promise of this great dam and others has run its course. Climate change is fundamentally altering the environment, making the West hotter and drier. There is less water to store, and few remaining good sites for new dams. Many of the West’s big dams, meanwhile, have proved far less efficient and effective than their champions had hoped. They have altered ecosystems and disrupted fisheries. They have left taxpayers saddled with debt. And in what is perhaps the most egregious failure for a system intended to conserve water, many of the reservoirs created by these dams lose hundreds of billions of gallons of precious water each year to evaporation and, sometimes, to leakage underground. These losses increasingly undercut the longstanding benefits of damming big rivers like the Colorado, and may now be making the West’s water crisis worse. In no place is this lesson more acute than at Glen Canyon. 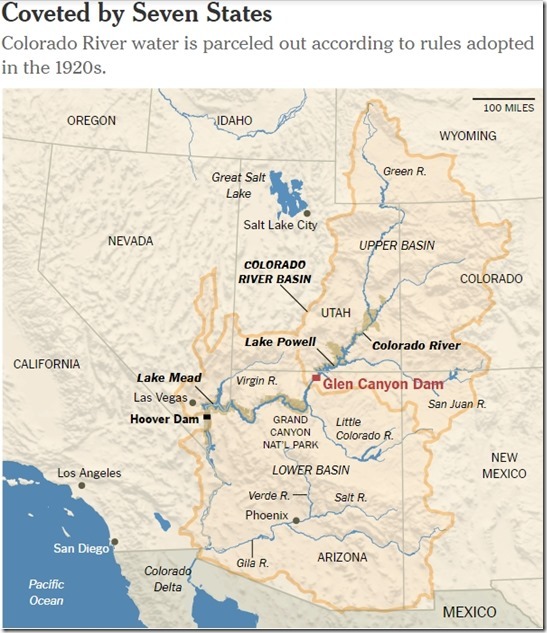 And yet even as these consequences come into focus, four states on the Colorado River are developing plans to build new dams and river diversions in an effort to seize a larger share of dwindling water supplies for themselves before that water flows downstream. The projects, coupled with perhaps the most severe water shortages the region has ever seen, have reignited a debate about whether 20th-century solutions can address the challenges of a 21st-century drought, with a growing chorus of prominent former officials saying the plans fly in the face of a new climate reality. That reassessment, Mr. 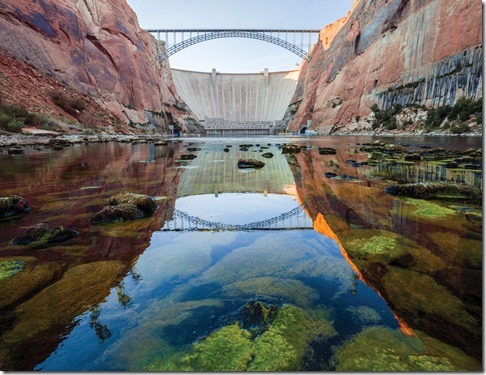 Beard and others said, demands that even as new projects are debated, it is time to decommission one of the grandest dams of them all, Glen Canyon…..